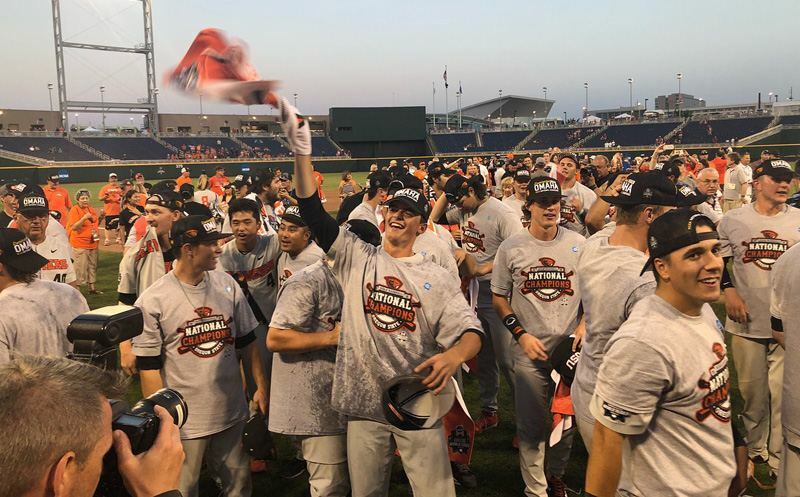 The field for the 2012 College World Series is shaping up and the fans in Omaha will have an underdog to root for in the form of the Seawolves of Stony Brook University. Stony Brook, a #4 seed in their regional, became the first America East school to make the College World Series by sweeping LSU in Baton Rouge. The Tigers won the first game of the three-game set, but Stony Brook rallied with back-to-back victories. 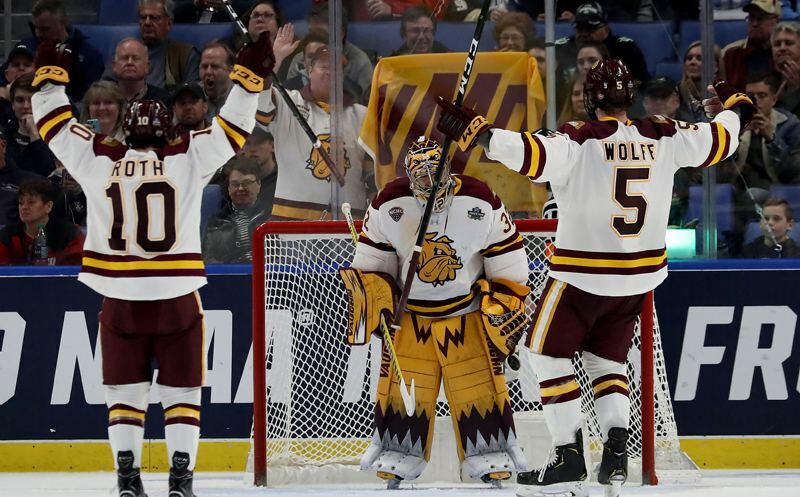 Florida State earned its 21st trip to Omaha thanks to a two-game dismantling of Stanford. The Seminoles scored 35 runs in downing the Cardinal. After plating 17 runs on Friday night, the ‘Noles picked up right where they left even though game two was delayed 24 hours thanks to rain. FSU won the rescheduled contest 18-7 on Sunday. Florida will be making its third straight trip to the Series courtesy of a two-game sweep of NC State. The Gators won 7-1 on Saturday and 9-8 on Sunday. 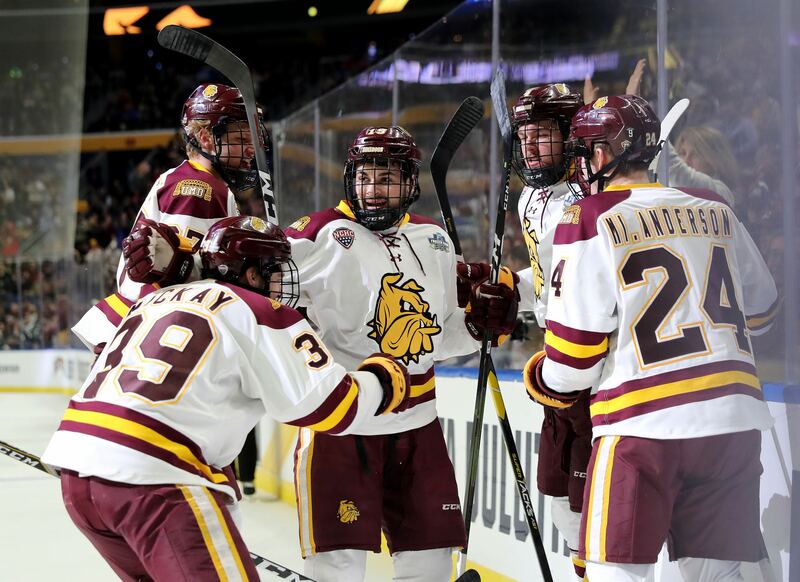 Pac-12 rivals UCLA and Arizona were the first two teams to punch their ticket to Omaha by completing sweeps on Saturday. The Bruins shut down TCU while the Wildcats topped St. John’s. The final three places in the Series are still up for grabs. 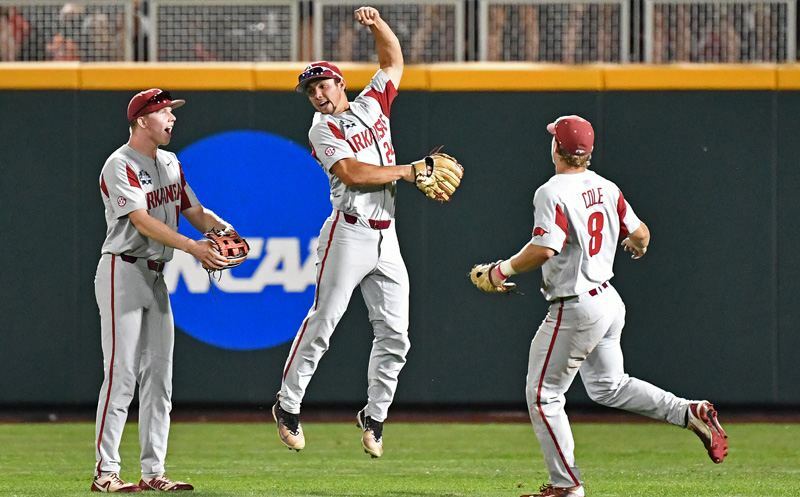 Baylor and Arkansas will play a decisive game on Monday night after splitting the first two games of their series, while Oregon and Kent State will also meet with a spot in Omaha on the line. 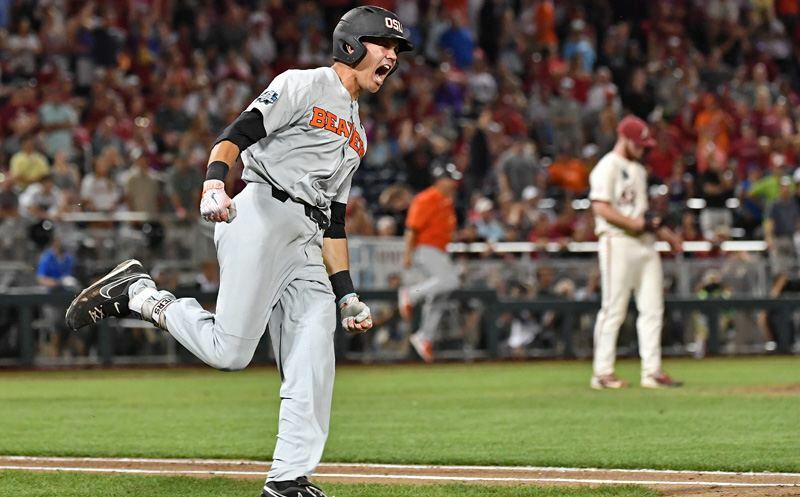 Oklahoma and South Carolina, meanwhile, need to finish their second game, which was suspended due to rain Sunday with the teams scoreless in the 6th inning. The Gamecocks lead the series 1-0 after a 5-0 victory on Saturday. The teams will resume play at 4:05 PM Eastern Monday. If Oklahoma wins, the teams will square off one more time later in the evening. 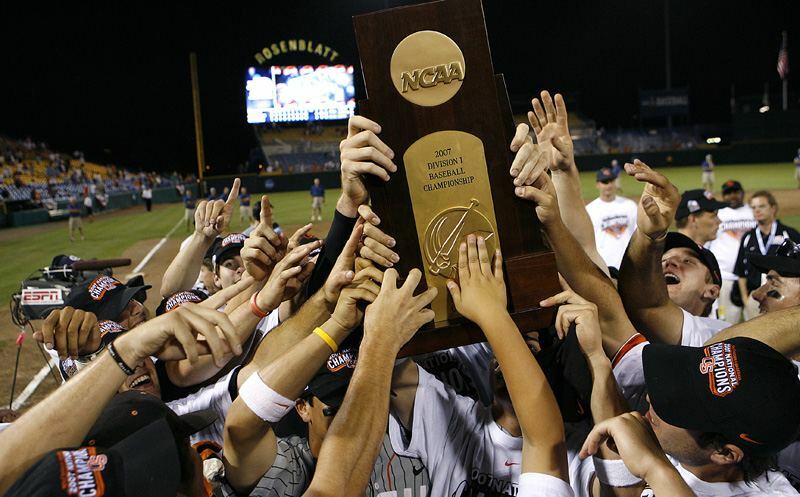 As a reminder, you can hear every pitch of the 2012 College World Series right here on WestwoodOneSports.com. We’ll be streaming every game live FOR FREE. 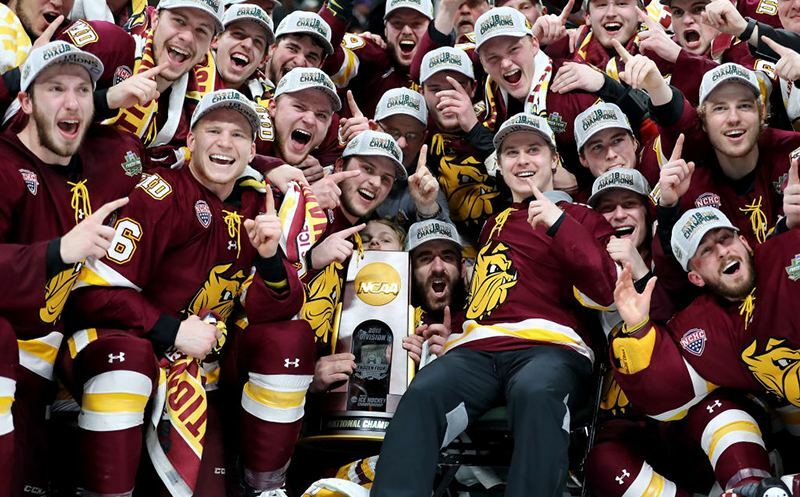 Click here for complete details on how you can make sure you don’t miss a second of the action from Omaha. Coverage begins this Friday at 4:40 PM Eastern.